Holdall bags are very important for your daily life. Spacious, functional shape, vibrant colours and lovely styles. With holdall bags, you can travel pleasantly without worrying about leaving any important item behind. 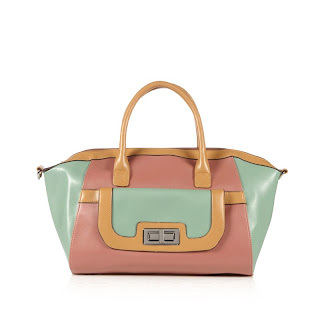 I'm giving away a Cadence colour block mini holdall bag. Its perfect for a romantic or girlie weekend away and also works well with neutral colours. For a chance to win this bright ladylike bag, send pictures of your beautiful outfits using your name as the subject to vernalmagazine@yahoo.com for a column called "This Week They Wore...". You've got nothing to loose but a beautiful colour block mini holdall bag to win. Remember, send those lovely pictures to vernalmagazine@yahoo.com TODAY!!! PS: Deadline to enter this competition is Friday 17/05/2013. Waste no time, Send your picture today. Please use your name as the Subject when sending the picture.